ATEAM SHOE SHOP: The NEW Dunks! It has been a while since I have seen ANYONE wearing a fresh pair of Dunks which leads me to believe the sneaker aficionado has moved on...rightly so. All those crazy collaborations and lame attempts at being cool have finally broken through to the mainstream and the only people wearing them are kids or doods who found them off-price, probably at Ross or Marshall's. Not hating, just saying it how it is! 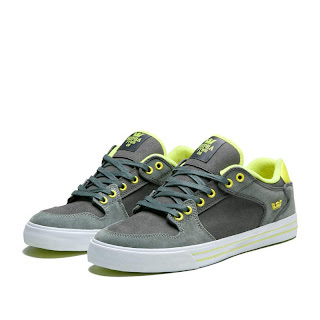 With that said, in my eyes, the NEW Dunks are the Supra Vaider Lows (see two below). Such a great fitting shoe, excellent support and an ACTUAL shoe designed for skating with technology supported by R&D. The new Holiday packs from Supra, www.suprafootwear.com are straight clean and classic. I am excited to see some color coming back to the shelves as 2011 has been very conservative from our suppliers. Obviously we have these in the the shop but I am not trying to 'make a buck' just blogging about how I feel and what I see. Peaces Ninjas! !